The functional and cosmetic benefits of dental implants compared to traditional restorations are numerous, including superior durability, increased bite strength, and improved appearance. At our Richmond, VA, dental practice, Dr. Davey Crockett uses state-of-the-art tools, such as cone beam scanners and magnifying surgical loupes, to place dental implants with greater precision and accuracy. With years of experience, he has successfully performed a large number of implant cases. Davey Crockett Dentistry also offers sedation options so our patients can feel relaxed during their procedure. Implants fuse with the bone, becoming a part of your jaw and offering incredible stability. 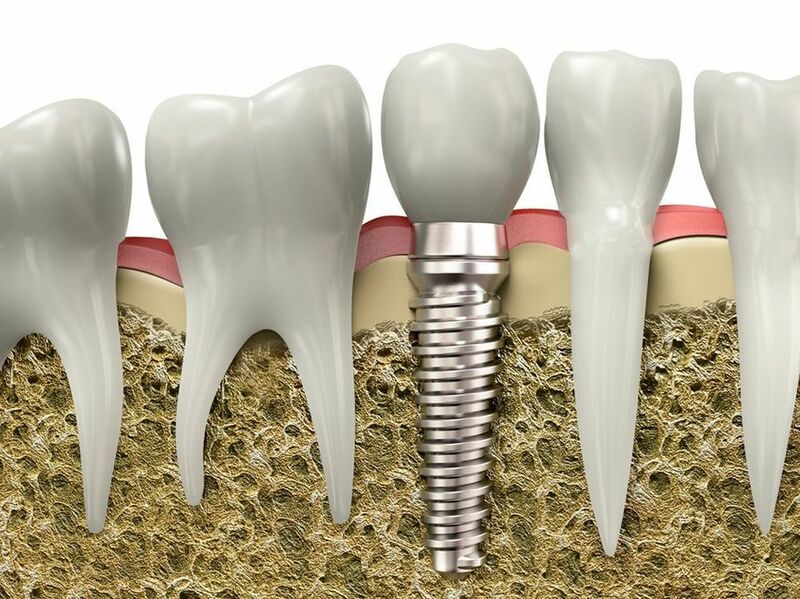 During the healing period, dental implants fuse with the jawbone as part of a process known as osseointegration. This fusion provides an unparalleled level of security and durability. For this reason, many patients who spent years wearing traditional dentures choose to add stability to their prosthesis with dental implants. Because dental implants integrate into the bone, they literally become a part of the jaw. This allows implant-supported restorations to look and feel just like natural teeth. Patients who choose an implant-supported denture can enjoy eating, chewing, and speaking without shifting or movement. Following tooth loss, the jawbone will naturally begin to recede and shrink. Replacing the missing tooth roots with dental implants stimulates tissue in the jaw, preventing bone atrophy. In addition to improving your overall oral health, dental implants can help prevent the sunken-in appearance that commonly occurs after years of tooth loss. If you are replacing missing teeth with a dental bridge, an implant-supported option is an excellent choice. Unlike traditional options, implant-supported bridges do not require the reduction of adjacent teeth. Crafted from surgical-grade titanium, implant posts are incredibly strong and resilient. Currently, dental implants boast the highest success rate of any teeth replacement option on the market. With proper care and maintenance, implants can last a lifetime. Single tooth implants can be brushed and flossed just like natural teeth. This is a vast improvement over dental bridges, which require special brushes or floss threaders to properly clean underneath them. Implant-supported dentures can be easily cared for when compared to traditional dentures. Conventional restorations require specialized cleaning routines that can become a hassle. Implant-supported dentures eliminate this inconvenience. Missing teeth can have a dramatic, negative impact on your appearance. Dental implants not only complete your smile by filling in the gaps but they also preserve the jawbone so you can retain more youthful facial contours. Your custom restorations will be expertly crafted to rest along the gum line for a lifelike appearance, and will be constructed from high-grade materials that mimic natural tooth enamel. If you are currently seeking a teeth replacement option, dental implants could be the solution for you. To find out if you are a candidate, schedule an appointment with Dr. Bousaba. You can call our office at (804) 282-2990 or contact us using our online form.